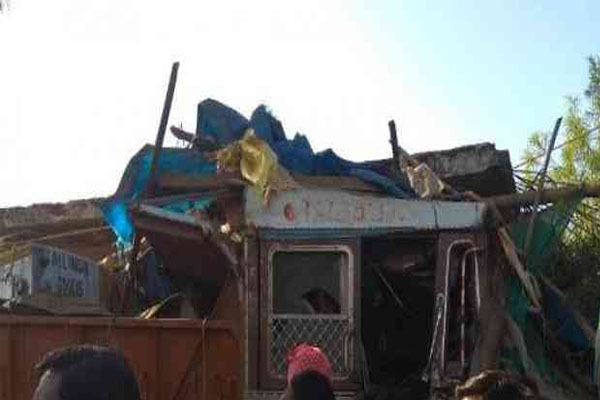 Bhubaneswar: Members of a family were miraculously saved even as a speeding truck rammed into their house at Kargil Square at Deogarh this morning. According to reports, an iron ore-laden truck, which was on its way from Keonjhar to Sambalpur, hit a car first and then rammed into a house. However, no damages or casualties were reported. The police have reached the spot and started investigation.